Fully furnished and turn-key! 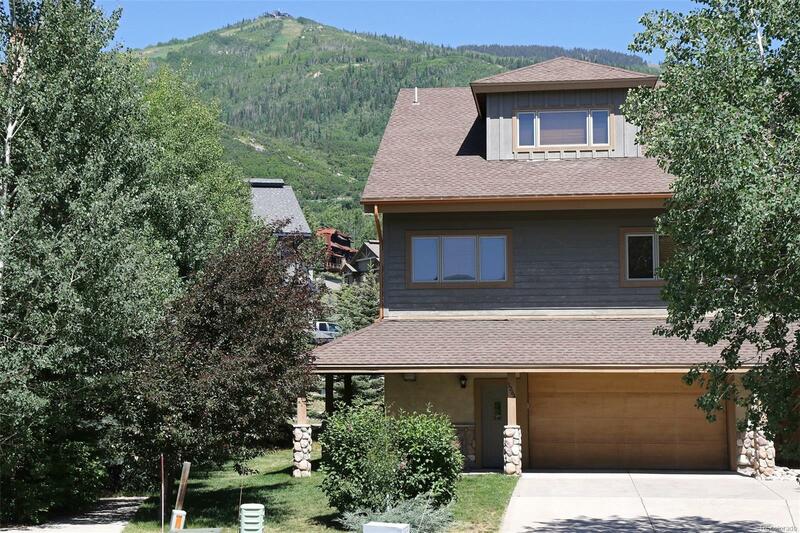 Located in a serene neighborhood within walking distance to the Steamboat Resort. Here youâll find plenty of room to relax and entertain in this luxurious home spanning over 4,300 square feet on three levels. The main level features a well-appointed kitchen, dedicated dining area and large living room with magnificent gas fireplace and a plethora of windows to maximize the Colorado sunshine. Highlights of the main floor include slate-tile entry, wood floors, extravagant powder room, granite kitchen counters, stainless appliances and attached 2-car garage. The second floor has a spacious master suite with mountain-facing deck, hot tub and a naturally bright office space. Two additional ensuite bedrooms and a laundry room make this perfectly livable for a large family or multiple house guests. The upper level has a huge family, 2 more bedrooms, 1 bathroom and wet bar with beverage center. Long-term rental potential. Extremely low HOA fees.